A common sight on the East Coast in the summer time are signs for Chicken Barbeques. This article says they are exclusively in NY but I certainly see plenty of them in PA. 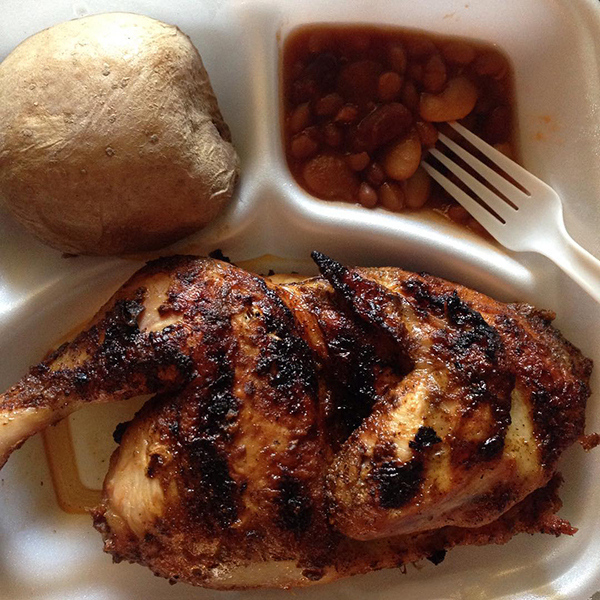 Churches and Firehouses hold these BBQ chicken sales for fundraisers. Mind you... I see the signs, but never seem to be able to catch one. Lucky for me (and other bystanding family members) my mom had tickets for their church bbq fundraiser while we were home this weekend. Woo-hoo it was tasty! Winner, winner chicken dinner! Just getting caught up on your blog - We have bbq chicken dinner fundraisers in Maine too. I feel like I see them a lot more now that I wrote the blog post!